Grando de tiu PNG antaŭprezento de tiu SVGa dosiero: 600 × 400 rastrumeroj. Aliaj distingivoj: 320 × 213 rastrumeroj | 640 × 427 rastrumeroj | 800 × 533 rastrumeroj | 1 024 × 683 rastrumeroj | 1 280 × 853 rastrumeroj. 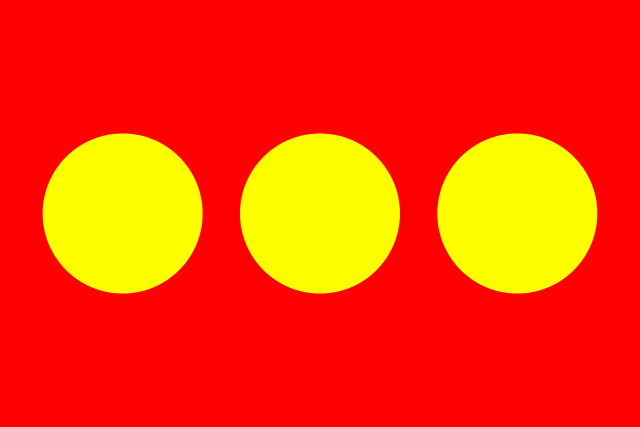 English: Flag of Christiania The three dots represent the three 'I's in the name "Christiania".